"AIEA is the best professional organization in the field of international higher education." "Currently working as the Vice Provost of International Programs at Drake University, I can say unequivocally that AIEA has consistently been the organization I have turned to throughout the years for the best strategic and pragmatic information on internationalization. Other organizations such as ACE and AAC&U produce quality data and best practices, but it is members of AIEA that uses this data and draws upon the best practices. Attending an AIEA conference, interacting with AIEA colleagues, reading AIEA resources is the best way to stay abreast of and make good use of the cutting edge information and practices in our field." "AIEA has not only provided the best professional development and networking for me, but also helped me develop my career path, define my leadership role at several institutions, and connect me to the most interesting opportunities and influential leaders in our field. Through challenging professional situations, AIEA gave me the confidence and support I needed to persevere and reach my goal of serving in an international leadership role at the “right” institution and in the “right” location. Therefore, it is such an honor for me to serve as the 2013 AIEA President. Along with many others in the association, I am committed to helping peers and colleagues benefit from this exceptional community of leaders." "The internationalization of higher education is of critical importance and requires vision, strategy, and the ability to identify and mobilize resources. AIEA helps equip SIOs to internationalize their institutions by providing a platform for the sharing of experiences and best practices in higher education across the world, and engaging SIOs with tough questions." "AIEA is an indispensable resource. Its member services and annual meeting are designed to address the needs of diverse educational organizations; make sense of the dynamic and increasingly complex field of international education; and provide leadership mentoring for international education administrators. Here at IUPUI, membership in AIEA benefits the work of the Offices of International Affairs and we are proud to be involved and contributing to the AIEA mission." "I became professionally involved with AIEA in 2008 when I started my SIO position at Catholic University of America as a way to learn about my new position and network with fellow SIOs. 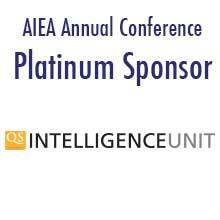 I have been extremely happy with my affiliation with AIEA, and have attended its annual conference every year. I find the conferences to be particularly helpful in both learning about the broad themes in international education leadership as well as in networking with my peers. I have been so impressed that I decided to volunteer my time to be part of two AIEA committees (professional development and conference planning) and I look forward to a more active engagement with AIEA in the upcoming years." "Visioning, strategic planning, management, program development and academic integration of international programs are only a few of the areas with which international education leaders grapple at our individual institutions. AIEA conferences and membership allows these singular senior international education officers to come together with likeminded colleagues to discuss common issues, share strategies and find creative solutions. The small size of the membership facilitates effective communication and provides a more personalized venue for senior international leadership than other organizations." "Always a good conference, both on topics and for networking." "Oh my goodness, I was so impressed with the quality of attendees." "The plenary speakers were among the best I have seen." "Highlight: The conversations I had, many of them unplanned, with colleagues for all over the world."